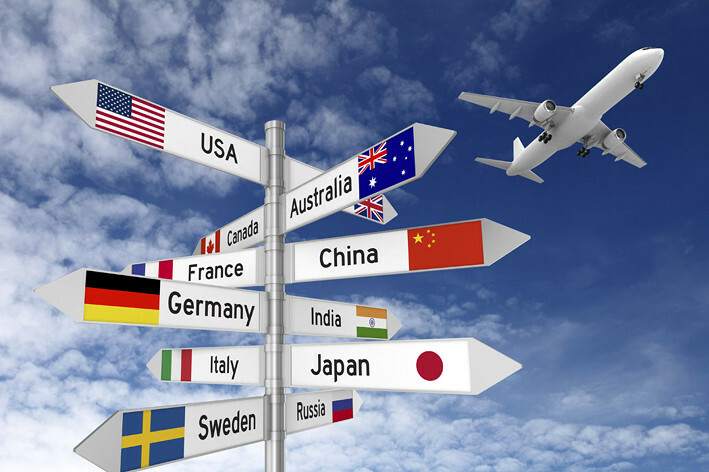 Hi, this webpage only lists whether a visa is required or not when visiting certain countries. Please contact the relevant embassy or consulate directly to actually obtain a visa. Albania, Andorra, Antigua and Barbuda, Austria, Bahamas, Barbados, Belgium, Belize, Benin, Bosnia and Herzegovina, Botswana, Bulgaria, Chile, China, Costa Rica, Croatia, Cyprus, Czechia, Denmark, Dominica, Dominican Republic, Ecuador, Estonia, Fiji, Finland, France, Gabon, Gambia, Georgia, Germany, Ghana, Greece, Grenada, Haiti, Hong Kong, Hungary, Iceland, Indonesia, Israel, Italy, Jamaica, Japan, Kenya, Kiribati, Kosovo, Latvia, Lesotho, Liechtenstein, Lithuania, Luxembourg, Macao, Macedonia (FYROM), Malawi, Malaysia, Malta, Micronesia, Monaco, Montenegro, Mozambique, Namibia, Netherlands, New Zealand, Norway, Palestinian Territories, Panama, Philippines, Poland, Portugal, Romania, Russian Federation, Rwanda, Saint Kitts and Nevis, Saint Lucia, San Marino, Senegal, Singapore, Slovakia, Slovenia, South Africa, South Korea, Spain, St. Vincent and the Grenadines, Swaziland, Sweden, Switzerland, Tanzania, Trinidad and Tobago, Tunisia, Uganda, United Kingdom, Vanuatu, Vatican City, Zambia and Zimbabwe. Bolivia, Cambodia, Cape Verde, Comoros, Congo (Dem. Rep.), Cote d’Ivoire (Ivory Coast), Djibouti, Guinea-Bissau, Iran, Jordan, Laos, Madagascar, Maldives, Marshall Islands, Mauritania, Nepal, Nicaragua, Palau, Qatar, Samoa, Thailand, Timor-Leste, Togo, Turkey, Tuvalu, Ukraine and United Arab Emirates. Afghanistan, Algeria, Angola, Argentina, Armenia, Australia, Azerbaijan, Bahrain, Bangladesh, Belarus, Bhutan, Brazil, Brunei, Burkina Faso, Burundi, Cameroon, Canada, Central African Republic, Chad, Colombia, Congo, Cuba, Egypt, El Salvador, Equatorial Guinea, Eritrea, Ethiopia, Guatemala, Guinea, Guyana, Honduras, Iraq, Ireland, Kazakhstan, Kuwait, Kyrgyzstan, Lebanon, Liberia, Libya, Mali, Mexico, Moldova, Mongolia, Morocco, Myanmar [Burma], Nauru, Niger, Nigeria, North Korea, Oman, Pakistan, Papua New Guinea, Paraguay, Peru, Sao Tome and Principe, Saudi Arabia, Serbia, Sierra Leone, Solomon Islands, Somalia, South Sudan, Sudan, Suriname, Syria, Taiwan, Tajikistan, Tonga, Turkmenistan, United States of America, Uruguay, Uzbekistan, Venezuela, Viet Nam and Yemen. Do Indians need a visa for Mauritius? I don’t think so if they are coming on vacation. Thanks a lot. Planning to go to Cap Verde and ur info is really helpful. I am not an expert but, as far as I know, if you are working, you need a work permit. Where can I get a visa for argentina in Mauritius because I’m searching for any Embassy and there is nothing here…? Hi Steeven, Argentina has embassies in Algeria, Angola, Egypt, Ethiopia, Kenya, Morocco, Mozambique, Nigeria, Tunisia and South Africa in the continent. I suggest you contact one of the two South African offices (in Pretoria and in Johannesburg). They’ll be able to advise. Regarding Georgia, i am told Mauritian nationals need a visa for visiting in prior of landing there. If we don’t need a visa, do we still need to provide some documents at the immigration? Hi, this post was written more than one year ago. Things might have changed. I would advise you to contact a Georgian consulate and ask. Hi Shabnize, please contact a Bulgarian consulate and ask them. Thanks. How do get a visa to Mauritius? How could I possibly know?!? First of all, thank you for this great site. I was wondering if you could help me. I’m Mauritian and have to travel to Angola. It seems the nearest embassy that could deliver visas for Angola is in Johannesburg. Do you have any more information on Angolan visas for Mauritians? Do you know how should we proceed to obtain a tourist visa for morocco. I am Mauritian with a Mauritian passport. Thanks for the info on the site. Need to travel to Nepal in April. what do you mean by as soon as they arrive? Do we have to pay and is there an embassy for nepal in mauritius? I suppose that Canada has some strict criteria to give visas to people. I remember when I had to visit the US in 2011, we had to provide pages and pages of documents, proofs of funds, release from work, etc. Hi if want to go to iceland from to morrow do I need a visa because I in Norway actually. Hi Avinash , does mauritian need visa to go to visit Dubai do i have to make a process or they give it at the airport on the passport ? Why don't we participate in the Maths, Informatics or Science Olympiads?